Today, many real estate investors are interested in diversifying their investment portfolios through purchasing different types of properties. With interest rates still near record lows and with a competitive real estate market, there are plenty of opportunities out there for enterprising real estate investors with an eye for a good deal. One type of property growing in popularity is a condotel. A condohotel, or a condo hotel as it is also called, is a unique type of residential and rental property. Typically, each of the units within a condotel is sold to an individual owner. The units are located within a building that has the amenities of a hotel, including a front desk as well as a cleaning staff. 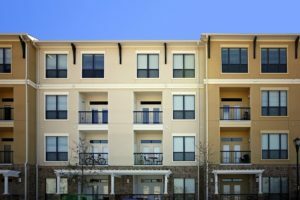 Owners can make use of the units to live in themselves or to visit regularly when in the area, and they can also add their unit to a pool of rental units. Adding the unit to the rental pool means that the hotel can rent the unit out to visitors, just as other more traditional hotel rooms are rented. 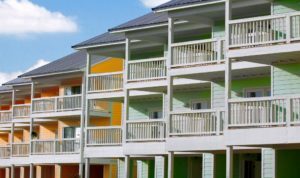 Condotels are especially popular within tourist areas where there is a high demand for hotel rooms and for other rental properties. Owners can benefit from being able to use the property themselves when they desire, but also from earning good income due to renting out the space. Because condo hotels are set up to be rented, property owners do not need to cope with all of the complications that usually go along with short-term rentals, such as finding and screening visitors, collecting funds, and making sure that the unit is clean. The process of renting out the unit is simple, streamlined, and essentially effortless. And, the owner should benefit from the opportunity both to earn money by renting out the unit as well as from the appreciation of the unit’s value as prices rise. The only problem is, obtaining mortgage financing for condotels can be a major challenge for many would-be investors who are interested in purchasing this unique type of property. The good news is, most buyers can qualify if they know which lender to turn to. A&D Mortgage is here to make your plans for owning condotels possible so give us a call today to find out about the financing we provide to buy a condo hotel unit. Why are Mortgages for Condotels Difficult to Obtain From Traditional Mortgage Lenders? Because condotels are not as common a real estate investment as many other types of investment properties, a condotel is considered to be a non-standard condominium. The fact the investment is classified as non-standard can become a major issue quickly when you are looking for funding because traditional lenders follow strict rules for qualifying home-buyers or real estate investors for any type of mortgage loans. The strict standardized guidelines that are so often put into place are not equipped to deal with condotel borrowers. As a result, many borrowers end up getting a loan denied or being unable to find a lender that will even allow them to apply for a mortgage to buy a condo hotel. Compounding the problem is the fact that most condotels are non-warrantable. This means that mortgages for the condo do not meet minimum eligibility requirements that have been set forth by Fannie Mae or Freddie Mac. Fannie Mae and Freddie Mac guidelines consider condos to be non-warrantable in many different circumstances, including when homeowners association dues are not current; when more than 20 percent of the building space is commercial; when one entity owns more than 10 percent of the project; or when the project is sold as an investment opportunity. A substantial number of condotels fit some of these characteristics so chances are good that when you want to buy a condotel, it will be classified as nonwarrantable. When any of these characteristics exist that make a condotel unwarrantable, conventional financing is essentially impossible to obtain even for the most qualified of homeowners or investors. The reason that it is so difficult is because of the impact on the secondary mortgage market when Fannie or Freddie classify a condo as nonwarrantable. Fannie and Freddie are government-sponsored entities and Fannie and Freddie Mac establish guidelines that are generally applicable within the secondary mortgage. Both of these GSEs buy mortgages from lenders who originate them so those individual lenders do not have to keep the mortgage on their books for the decades it takes for the loans to be repaid. If a loan cannot be sold on the secondary market to Fannie and Freddie, it can be much more difficult for mortgage lenders to find a buyer for the loan. This substantially increases the risk of making a loan for condotels, and so lenders may be unwilling to provide financing. It does not matter how qualified you are as a buyer, whether your credit is good, whether you have a good income, or whether you are able to make a substantial down payment – many lenders simply do not want to be stuck with a mortgage that it is difficult or impossible to sell on the secondary market due to the fact the mortgage doesn’t meet Fannie and Freddie guidelines. Lenders who don’t want to keep the mortgage on their books for decades will reject applicants without considering their own personal financial situations if they do not think they can resell the mortgage – so qualified borrowers through no fault of their own may find themselves unable to get a mortgage loan approved for a condotel. This can be incredibly frustrating for would-be condotel borrowers who have done everything right to get approved for a loan but who find themselves facing repeated rejections simply because the structure of this type of investment falls outside of what Fannie Mae and Freddie Mac find to be warrantable. If you cannot get a mortgage loan, buying into a condotel becomes prohibitively expensive and you lose out on the opportunity to make an investment that could ultimately have a big payoff for you. It is important that investors interested in purchasing a condotel not simply give up on their plans because of rejections from conventional lenders. The reliance these lenders have on selling the mortgage on the secondary market makes them ill-suited to providing financing for alternative investment opportunities such as purchasing a condotel – but they are not the only mortgage lenders out there. In fact, NonQMHomeLoans.com is here and ready to help real estate investors and those looking to purchase primary or secondary homes in unusual circumstances. We know that many real estate transactions in today’s day-and-age do not fit into the traditional mold and that many buyers of real estate may not always have the type of financial backgrounds that conventional mortgage lenders traditionally expect. We are willing to go beyond the basic loan criteria that must lenders have put into place and to truly look at the big picture when it comes to buyers and investment properties that they are interested in. A&D Mortgage has provided financing for many condotel investors and not only are we eager and willing to help property-buyers take advantage of the chance to own a condotel, but we also work to make it easier for unconventional buyers to get approval for all different types of mortgage loans. We don’t disqualify people for reasons that many other lenders do, such as a higher debt-to-income ratio or recent adverse credit events, and we don’t foreclose you from buying the properties that you want just because Fannie and Freddie have decided they won’t purchase the mortgage that you obtain. A mortgage professional at A&D Mortgage will work with you to understand all of the different financing options that you could potentially be eligible for when you want to buy a condotel or other property. We will streamline the process of applying for, and getting approved for, a loan so that you do not miss out on the chance to purchase. Our qualification process will be simpler, easier and require less documentation than most conventional lenders mandate – and our goal is to help you to get to yes on the financing needed to secure your deal rather than to just turn people down because the transaction doesn’t fit the traditional mold. You owe it to yourself to find a mortgage lender with a competitive rate and good loan terms who is offering the financing you need to make your desired real estate investments. When you are ready to move forward with the purchase of a condotel and you want help obtaining a mortgage from a qualified lender that will work closely with you to get your transaction to closing, you should give A&D Mortgage a call. Reach out today and our mortgage professionals will start working for you.